COS one more time proves the brand’s commitment outside the fashion sphere by supporting the arts and creative projects. This summer, the COS collaborates with renowned Serpentine Gallery. 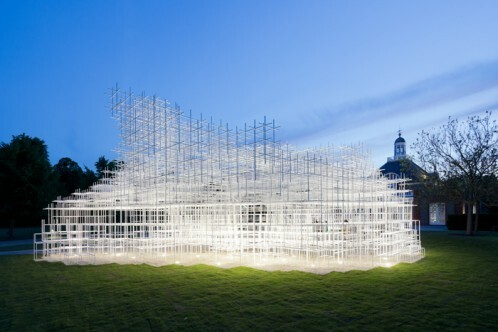 The Park Nights series runs between July – October 2013 in the Serpentine Pavilion which this year has been designed by Japanese architect Sou Fujimoto. Inspired by the idea of a primitive future, Fujimoto experiments with purposefulness, combining instinctive and imaginative forms of creation – the very essence of the COS design ethos. The programme consists of performances, film screenings and talks which take place on selected Friday evenings whilst the Pavilion is in situ, generating a truly holistic association between the building and what takes place within it. 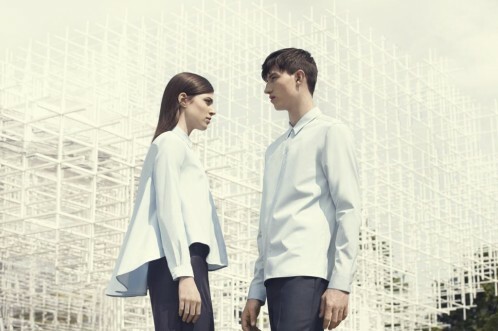 To mark this exciting project, COS are releasing a limited edition shirt for men and women that will only be available to buy at the COS Regent Street store, at The Serpentine Gallery and online at cosstores.com.